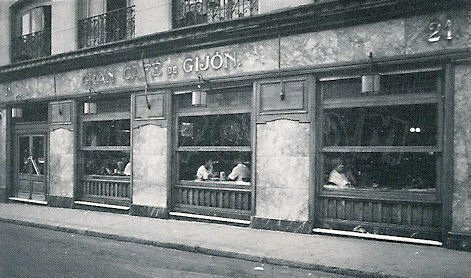 Café Gijón is part of Madrid's history. This place has become a real institution thanks to its relation to the cultural world. The finest of materials and wood were used for its decoration. Paintings from established painters are hanging on the walls and allow us to go through the different steps of Spain's history. This is one of the rare literary cafés that survived in the early XXI century. It welcomed for over a century personalities of the world of painting, literature, theatre, movies and science. Inaugurated in 1888 by Gumersindo García, emigrant from the Asturias region who was coming back from Cuba, the Café Gijón witnessed the cultural excitement from Madrid since its early days, when personalities like the doctor Santiago Ramón y Cajal, the scientist Severo Ochoa, the dramatist Jacinto Benavente or the writers Ramón Gómez de la Serna, Benito Pérez Galdós and Valle-Inclán went there to meet up and to share ideas. 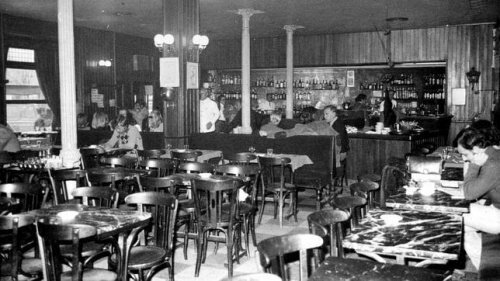 The passers-by could often see García Lorca sitting outside Café Gijón. Its reputation was international, since it was the place of pilgrimage for famous writers like the Nobel Prize for literature, Mario Vargas Llosa, or the Argentine writer Jorge Luis Borges. Today, the café still welcomes important representatives of the Spanish cultural world and is part of the association of century-old restaurants.